Most of the times conferences are a composition of intense and knowledgeable activities including presentations, potential meet-ups, and conversations. They can also be very overwhelming for the individuals to let them decide where they want to focus their energies. Particularly, all the excitement and buzz of the first day at a large conference can be very profound and overpowering which may leave you with a desire to get the comfort of your own room to find privacy. But aside from this, the most significant thing is how can you get the most out of a conference and what it takes? One of the most effective ways to benefit yourself from a professional conference is networking with others as you never know when even an unplanned and accidental contact may become useful in the future. 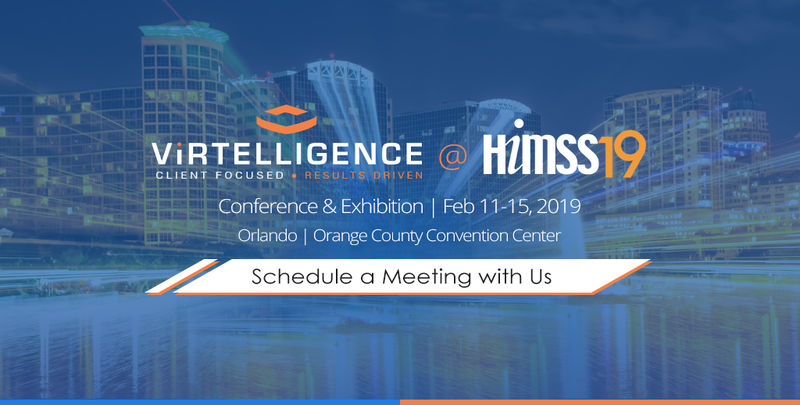 HIMMS19 is all set to be another incredible conference in the bright Orlando, Florida along with a remarkable agenda of speakers and promising opportunities for networking. As a healthcare CIO, the key to your success lies in being prepared. Following are some very effective and useful ways to get yourself ready for HIMSS19. Keeping in mind the significance of HIMSS as the biggest healthcare IT conference of the year, it’s only logical to give your planning an early start. An early preparation let you have a smoother process, a relaxed mind, and also let you keep tabs on your conference goals. Keeping yourself updated regarding your meetings during the happenings of HIMSS unquestionably will be useful in running the show smoother for every person—your team, other healthcare personnel working in the similar capacity as yours, and your prospective contacts. Make certain you are left with plenty of time to join dinners, receptions and other events with your peers and vendor partners. One of the best practices to stay ahead regarding the HIMSS conference and all related events is to keep yourself knowledgeable through HIMSS19 emails, blog posts, and social media. Every year HIMSS also launches an app that carries all the information you’ll need to get in your own relaxed space. As far as possible you can get yourself ready for HIMSS19, these bunch of days will be gone just within a blink of an eye. The days can pass so quickly that you may forget to have something to eat or grab a cup of coffee as you proceed from meetings to education sessions to networking opportunities. Therefore, before starting your day, don’t forget to schedule a break for yourself to get a quick bite and keep yourself hydrated as well, because your health does matter! Be specific and selective with the people you want to network with while your stay at HIMSS19 by making certain that you focus on what is significant to you. Put your best efforts to make sure that the majority of your vendor meetings are prescheduled. In reality, there will more than thousands of people who will be looking forward to meeting you or grabbing your attention. Don’t forget that it’s all right to say no! Joining CHIME Focus Groups at HIMSS19 is a great means to discover the areas you might be interested in. As a CIO, it is imperative to keep oneself updated regarding the current trends and technology. Keep in mind to take notes and interact with the professionals in their respected line of work—there will be a good deal of information to be gained from these educational sessions. As mentioned afore, the more you get to know the better it is. Communicating and networking with others such as your peer groups and sponsors as much as possible during the whole week, you will be able to get a lot of opportunities and contacts. So, give it your best shot to discover all potential opportunities and get as much information as you possibly can during the event. Even if you are here to do business, having some fun too wouldn’t hurt you. There are plenty of incredible receptions, dinners, and parties you can join in Orlando. There will be a lot of people to meet, and this is the right occasion to do so!